Not all Whole Body Vibration (WBV) technologies are created equal. Galileo® contains features that help it stand out amongst its competitors. These include the right frequency and right vibrational pattern, the most complete line of technologies with the highest quality construction, and published articles supporting Galileo® effectiveness. Motion Health.com, representing the original whole body vibration platform that started it all and used in a majority of scientific research to date. Not all Whole Body Vibration (WBV) technologies are created equal. 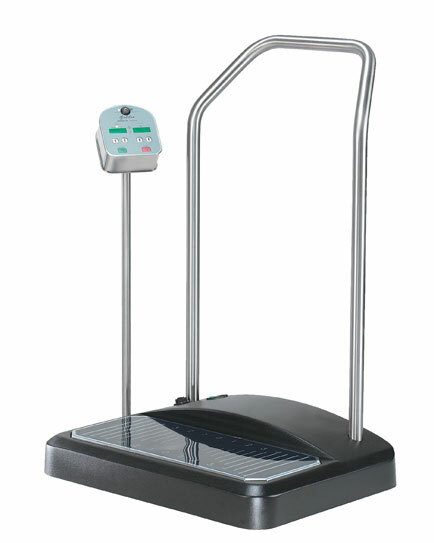 Galileo® vibration plate models contains features that help it stand out amongst its competitors. These include the right frequency and right vibrational pattern, the most complete line of technologies with the highest quality construction, and published articles supporting Galileo® effectiveness. Others may quote the vibration literature however; results from one system cannot be implied to another since the parameters of vibration can differ. When examining the marketing literature quoted by all, ensure the research has been conducted on the system under evaluation, or that the platform in question has been independently verified for accuracy of performance within the same parameters. WBV can be traced all the way back to ancient Greece, where the first applications of vibration for the use of human health were developed. A saw covered in cotton was used as a tool to transmit a mechanical vibration, this primitive method treated parts of the body that did not function properly. Vibration has been used as an exercise and therapeutic tool since the 1800's. In 1857 a Swedish doctor, Dr. Gustav Zander had built 70 different exercise machines, some of which provided a type of vibration exercise. After exhibiting at two World Fairs, he started the Zander Institutes, the earliest form of today's health clubs, which proved to become very popular throughout the world. In 1898 an article by the French neurologist, Dr. Jean-Martin Charcot, was published where he deduced that the improvement in his Parkinson's patient symptoms was the result of the vibration from their horse and buggy ride to his office. Since then, Europe has seen the value of whole body vibration in treating cosmonauts, training of Olympic athletes and maintenance of good bone health in its geriatric population. In 1895 in Battle Creek Michigan, Dr. John Harvey Kellogg, the developer of Corn Flakes, invented a WBV machine. This was a unique chair design that shook aggressively and was effective for relieving constipation, headaches and back pain. He eventually developed a standing platform. By 1960 the beginning of today's standard of vibration therapy appeared. In East Germany a technique called Rhythmic Neuromuscular Stimulation was being used by Professor W. Biermann to improve the condition of joints. Modern day research of WBV technology really began in the late 70's with the development of a vibration system by one of Russia's key sports scientists Dr. Vladimir Nararov. He was an active sportsman, a member of the Soviet gymnastics team and occupied a chair for sports biomechanics at the State College in Minsk. He first introduced this technology to competitive sports, ballet and medicine. The Russian Space Program began use of the technology with their astronauts suffering from muscle atrophy and considerable bone dencity loss due to weightlessness while exposed to zero gravity. A Russian Cosmonaut named Valeri Polakov MD set a world record for being in space for 438 days. Vibration technology gave Russian's the advantage as their Cosmonauts were able to stay in space much longer, while American Astronauts had to return after approximately 100 days. In addition, today the European Space Agency and NASA are actively using vibration in ongoing studies. With the thousands of WBV devices throughout Europe and North America, Galileo® has positioned itself as the vibration platform that works. This innovative technology is protected by a worldwide patent and has been the focal point of WBV literature and research. Having both critical elements for success, a functional teeter-totter pattern of vibration and the appropriate frequency range, this innovative and ground breaking technology can benefit many the world over. Others may refer to this vibration research and literature; however, results from one system cannot be implied to another. Since the parameters of low and high gravity vibration can differ. The testing of performance accuracy is of paramount importance and the results must be made available to the consumer for proper evaluation of the platforms being considered for purchase.